Today's blog post content was made possible thanks to http://www.myemma.com. Emma is an email marketing platform that gives you all the tools you need to send campaigns that really connect with your subscribers. I've been blogging for over 15 years. In the early days of blogging it was just me and my computer in my bedroom typing into a void. I always liked to hear myself talk so blogging seemed like a natural place for me to take my voice. I assumed everyone would care about what I had to say. Seriously, my early blog was just me and my computer in my parents basement just tippy tapping away on a keyboard about basically anything. I didn't care who read it or what I said. There was no niche or theme. I still have secondary embarrassment about some of the stuff that I wrote about. I once went on about how stupid my brothers roommate was, his roommate saw it. I once complained about my husbands family....they saw it. I didn't source things when I reposted them. I had a terrible black and red theme at one point. It was all very cringey! Over the last 15 years I've watched blogging evolve from people just going on about anything that comes to mind into legitimate careers and businesses. Blogging has gone from basements to branding and that's absolutely incredible. 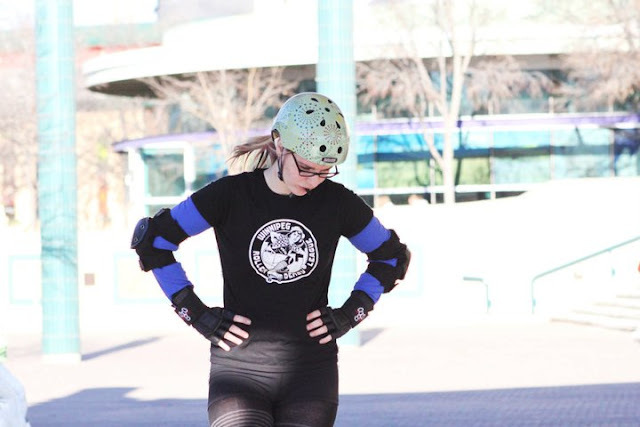 When I dabbled in marketing when I worked in non-profits and for roller derby there was always something new happening that I needed to learn about. Same goes for blogging. I'm always learning something about how to better market my blog. Email lists is something I've been learning about recently and because sharing is caring I thought you would want to learn too. The most powerful asset a blogger possesses is their email list. Growing your list organically—and sending out relevant email marketing messages—is one of the best ways connect with your audience, drive engagement, and attract more readers to your blog. You have to do more than just keep your readers engaged and happy if you want them to grow your audience. Create quality content to showcase your talents but also to grow your audience and spread awareness about your brand. Blogging also contributes to SEO, which leads to gaining more online attention and establishing authority. You can do this by keeping your content interesting and relevant to your readers. Constantly seek to provide your reader with something dynamic and new to get them talking—use their feedback, along with keyword research, to inform content ideation. No matter what you're writing, try to tell a story with a conversational tone. Consider using visuals, like infographics, that help readers process information quickly. Vary your content and share videos, case studies, brief but helpful tutorials, how-to posts, and even podcasts. Remember that traffic isn’t free: You either pay for it with money through advertising or you pay with time and creativity. Get those innovative juices flowing and ditch all the fluff! 2. Train people to open and read your emails. Even if you aren’t selling anything on your business blog, you need an email marketing strategy in order to grow your readership. Quicksprout says that blog content is 3.9 times more likely to be shared via social media by email subscribers. Emails allow you to communicate with your audience on a nearly personal level. And the prevalence of smartphone means their inbox is right in their pocket—so take advantage of it! Part of being a successful marketer is to train people to open—and read—the emails you send. You do that by sending them content that they know is relevant, valuable, and interesting. This is why it’s a great idea to combine blog content with email campaigns. When you put up a new blog post, send it out to your email list. You can use an email marketing tool to push out your new blog posts automatically which means you can schedule the posts to go live at the times you’ve determined have the best reach. Another way to share blog content is to manually send an email to your list that includes a one or two sentence teaser about your post. Include the link back to the blog post on your site so readers can easily click and view the entire post. 3. Optimize your opt-in forms. You need a well-designed opt-in form to attract more email subscribers. It’s more than just looks that matter—you also have to pay attention to the other elements that affect your reader’s experience. The opt-in form should have a memorable headline, a clear description that outlines the benefits of signing up, and a captivating CTA. The most important thing is that the opt-in form must be integrated within the user’s experience in a way that is unobtrusive. Timing is everything! You can’t just throw the form at your audience the moment they land on your website—that will turn them off. Use strategic timing to encourage your viewers to opt in. Remember, this is one of many ways to build up your email marketing list over time. 4. Build curated content experiences. As you craft your content to drive tons of traffic to your blog posts, keep in mind you need to have a personalized subject line. Impersonal emails won’t get results; you are competing with hundreds of other emails in a person’s inbox, so you have to give your readers a reason to open your email. When you write the email, use words you would use if you were sending a message to your friends and focus on relationship building. Use the words “me” and “you” in the content. As you deepen the relationship with your email subscribers, you can ask them to join you on your blog. 5. Use your emails to drive more traffic. Your email allows you to get in touch with a lot of people very quickly. When done with care, you can utilize your email signature to get tons of people to click through to your blog. Make a call-to-action in your email signature that invites your readers to visit your blog. Take a minute to share a brief benefit to encourage action, such as telling a little about what your blog is about and what benefits people can expect to get from reading it. It’s vital to segment your email list into targeted groups, then strategically send out newsletters and blog articles to the ones who are most likely to read it. For bloggers that cover a range of topics, you can begin collecting data about what certain readers are most interested in using basic email analytics. That data can help you shape the kind of content you send to each group—and it may even help inform what you write next. 7. Remember the mobile rules. Brand identity is absolutely essential to developing loyal readers. Take your time to come up with a beautiful email template that matches your website and overall brand identity so users don't lose context between your site and your marketing messages. However, you can’t simply copy the logo into your email and call it a day—everything needs to be synchronized for a seamless brand experience. The color scheme, the layout and the writing style of the email copy and blog should all align. When building an email, remember that it will look different on different devices so it’s smart to check how your message will display on various devices and browsers. Do not send your email until you’ve seen the different ways the email will appear—you don’t want some readers to see the email as a jumbled mess. That will make a bad impression that might damage your long-term brand reputation (and lose you subscribers along the way). If you want someone to click through to the blog article, you have to ask. This is the reason you need to make sure your email call-to-action is clear and compelling. Simply asking people to read your blog can increase your response rate and engagement. Make it simple for your readers to act on what you’re asking them to by putting a single, bold CTA in your email that drives subscribers directly to your most recent content piece. 9. Include compelling visuals in your newsletters. Did you know that blog articles with images get 94 percent more views? Entice your readers to click through to your business blog with image-driven emails. Your email campaigns or newsletters should also include brief summaries of what the article is about, along with a clickable link or button that prompts them to read more. That being said, make sure you don’t oversaturate your audience with newsletters. Value their time; they are busy too. It’s best to monitor your open and click-through rates to make sure they're continuing to improve even as your audience grows, rather than declining because your list has become fatigued. Then, use that information to further optimize your strategy to determine the ideal frequency and times to send out the newsletters. 10. Create a welcome series. Put together a collection of the best lessons and answers to the most frequently asked questions from your readers. All of those blog posts should be in your email welcome series. An automated welcome series allows you to deliver your most valuable content in the order and frequency you desire to every new reader who ever finds you. In these automated emails, include various links back to your foundational blog content to drive your readers to your blog. As with any email, your welcome series needs to focus on delivering value to the readers so don't forget to segment based on what you already know they're interested in. The most important function of a welcome series is to educate the people who are curious about your business and turn them into fans. In fact, welcome emails receive 4x the opens and 5x the clicks of a regular email—and they've been shown to increase long-term brand engagement by 33%! As a blogger, this is an excellent chance to build a relationship with your subscribers. 11. Don’t forget your footer. In the footer of every one of your blog posts, make sure there’s an opt-in offer of some type! It's another great way to grow your email list. You can prompt readers to sign up to receive free updates from your blog or opt in to receive relevant content from your weekly newsletter. It's clear that a huge opportunity exists in combining email marketing and social media. These tips can help you grow your email list and create powerful emails that will drive traffic to your blog, turning your subscribers into loyal readers and lifelong fans. If you aren't already, using mail marketing can help grow your blog audience and cultivate a deeper connection with your readers. Again let me thank http://www.myemma.com for providing the bulk of the content for today's post.